It’s August. It’s holiday time. French workers abandon city life for a whole month of vacation, heading for their holiday homes in the countryside. 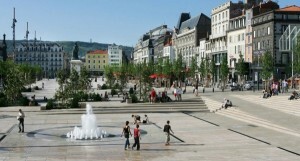 The British too head to France en masse making a beeline for those honeypot destinations …. the Loire Valley, Provence, the Dordogne, the ‘South of France’ aka the French Riviera. It is early November and, thanks to the exceptionally warm October in France, the colours have been slow to change this autumn. But the process is now in full swing and the vibrant reds, oranges and yellows are exploding all over the country. 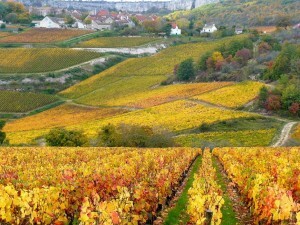 So where in France will you see the best autumn colours? 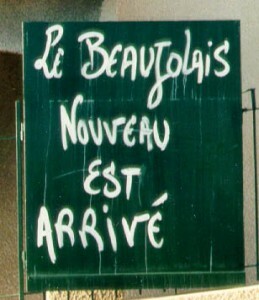 Each year, on the stroke of midnight on the third Thursday of November, the festivities surrounding Beaujolais Nouveau kick off in France. Now, as far as luxury accommodation in Burgundy goes, this is a special one. 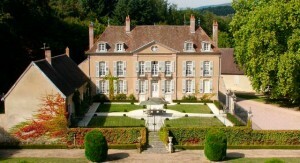 Wine and food lovers will be in their element at this stunning chateau. It’s simply the most perfect location for a special occasion celebration such as a wedding anniversary, a birthday or an engagement party.